At the Arizona Center for Reproductive Endocrinology & Infertility, we pride ourselves in providing a full range of services to help couples that want to start a family, conceive and raise a healthy child. We offer as many services as possible, because we realize that not every couple has the same goals or is in the same situation. By offering services to meet everyone’s needs, we can walk our patients through their entire conception journey – whether that is a woman who wants to freeze her eggs because they’re getting older, or an LGBT couple that wants to get pregnant right now. We can start couples or single women off with clomid during their natural cycle, or move them on to an IUI, or IVF or surgery if necessary. Not every pregnancy strategy is going to be successful for everyone, and by giving all our patients many options, we can increase the likelihood that they conceive and achieve their dream of becoming parents. We also provide services above and beyond helping couples achieve fertility. 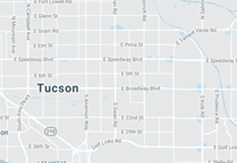 We’re one of the only clinics in Tucson to do gender selection, because of its difficulty and expense. In fact, a lot of our clients come from Texas or California just to get it done here.